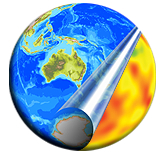 Applications from 2nd or 3rd year University of Sydney students studying geoscience are invited to apply for summer scholarship positions with EarthByte. These projects bring undergraduate students into active research projects, and provide valuable insight into the inner workings of dynamic teams working on real-world problems. Research projects run for a duration of 4-6 weeks over the Summer holiday period (November – early March).